It’s not just the largest in the industry, it is also the best and most productive grinder on the market today. 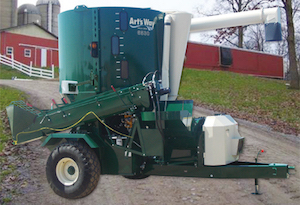 The portable 6530 grinder mixer from Art’s Way features a gigantic 165-bushel tank with a one-piece 26-inch hammermill. This 4-ton mixer is easily configured to meet the needs of your specific livestock operations, and includes a multitude of new ideas and improvements that originated from the experience of owners of previous models. 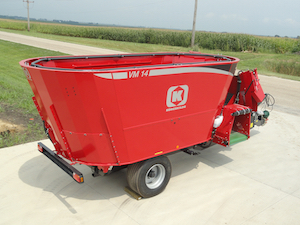 Kongskilde, a leader in TMR Mixer sales in Europe, brings the TMR Mixer line to the U.S. with several options not offered by others.